During the nineteenth century, the presence of two natural resources, clay and coal, gave rise to a thriving pottery industry in the towns of Church Gresley, Swadlincote and Woodville. The pottery produced consisted largely of everyday household kitchenware, and later, with the development of public hygeine, sanitary earthenware. However in the 1880s, influenced by the Arts and Crafts Movement, two men – Henry Tooth and William Ault – started to develop ranges of ornamental and decorative pottery. These included bowls, vases, and the large jardinieres and pedestals so beloved of Victorian drawing-rooms. The designs often consisted of flowing leaf and plant patterns in the Art Nouveau style, and the colours were rich and vibrant, making use of recent developments in the chemistry of leadless glazes. Henry Tooth was born in 1842 at Newport Pagnell in Buckinghamshire, the son of an agricultural labourer. Showing an early flair for art and design, he joined the Linthorpe Pottery at Middlesborough as artistic manager, having picked up the practical side of the trade from a brief period with T G Green of the Church Gresley Pottery. He left Linthorpe in 1882, and returned to Church Gresley where he formed a partnership with William Ault and set up the Bretby Art Pottery in new premises at Woodville. In these early years, the mark on the products was "Tooth & Ault". The two men were very different in character - Tooth was a flamboyant artist, and Ault a businessman and Wesleyan Methodist preacher – and after only four years they parted company. 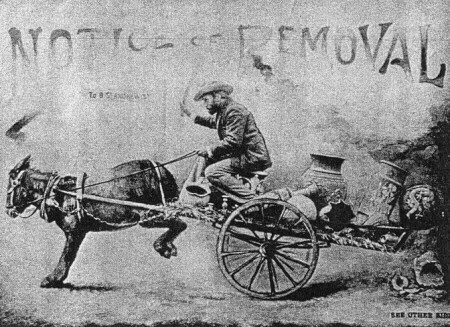 Ault set up his own pottery in Swadlincote, and Tooth found himself a new partner in John Downing Wragg. They now operated under the name of "Tooth and Co", and from 1891 used a new mark - a rising sun above the word "Bretby". They opened showrooms in London, and exhibited at all the large international trade fairs. In 1912, Wragg resigned, and a new company, "H Tooth & Co Ltd", was formed, with Henry and his son, William, as the two directors. However, Henry was now in his 70s, and his health was deteriorating. He died in 1918, aged 76. William carried on until 1932, when he sold the company to Mr Fred Parker, whose family continued to run the business until the 1990s. William Ault was born in 1842 at Bagnall, near Stoke-on-Trent in Staffordshire. On leaving school, he went to work at Henry Wileman's pottery works at Longton, starting as a packing boy, but working his way up to warehouse manager. The company had another factory at Church Gresley, and when a new manager was required, Ault was appointed. In 1864, the factory was bought by T G Green, but Ault stayed on as manager. It was at this time that he met Henry Tooth, and when the latter returned from his period at Linthorpe Pottery in Yorkshire, the two of them went into partnership and set up the Bretby Art Pottery at Woodville. The partnership only lasted a few years, and in 1887 Ault left to set up his own company at Swadlincote. Here he developed his own style of ornamental pottery, which bore the mark "Ault Faience". Much of the art work was done by his daughters Clarissa and Gertrude from designs developed by the Linthorpe Pottery. Like Tooth, he opened showrooms in London and exhibited at the international trade shows, winning many prizes for quality and originality. Away from the business, Ault was a Wesleyan Methodist local preacher, and held positions on several local public committees. 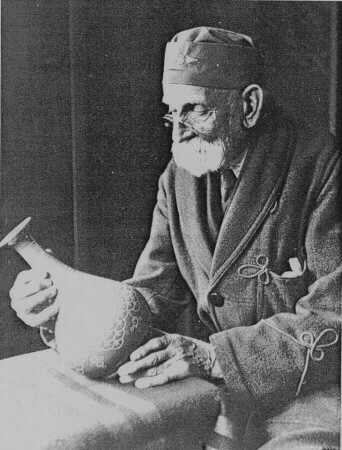 In 1922, at the age of 80, he decided to retire, and the company was amalgamated with the Ashby Potters' Guild under the direction of Pascoe Tunnicliff. Pascoe Tunnicliff was born in 1881 at Woodville, the son of Edwin Rowland Tunnicliff, a local butcher turned potter. In 1897, Edwin took over a factory in Chapel Street, Woodville, and under the name of the Victoria Pottery, started to produce a range of household wares. After a few years, he decided to expand into more ornamental items, and the Ashby Potters' Guild was formed to run alongside the more traditional business. Thomas Camm, a stained glass artist from Smethwick was in charge of design, and Pascoe Tunnicliff developed the glazes and colourings. The mark consisted of an oval containing the words "Ashby Guild". In 1919, the Guild merged with Ault Potteries Ltd, and Pascoe was appointed Works Director. The mark was changed to "Aultcliff". However, they ran into financial difficulties during the Depression years of the 1920s and 30s, and ceased production. Pascoe got a job as a water engineer, and went to live at Hartshorne, where he died in 1956, aged 75.